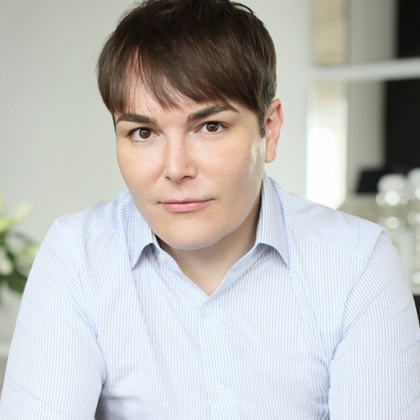 We offer Lower Eye Bag Removal – Blepharoplasty from our clinic in Glasgow. 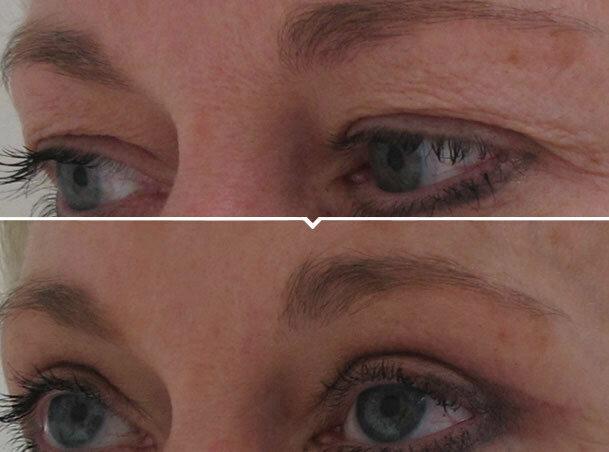 Lower eye bag removal is an operation designed to remove excess skin and or fat from the lower eyelids. It can reduce the appearance of baggy or tired looking eyes. 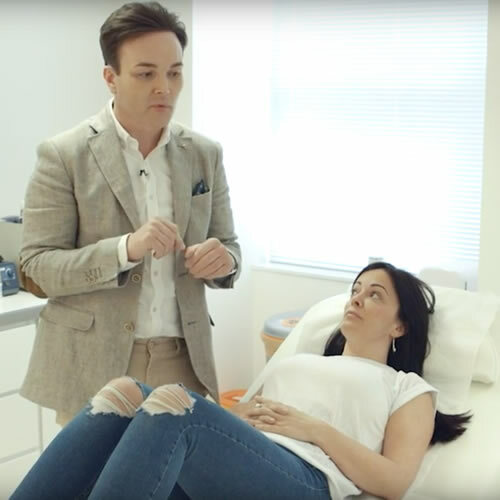 What Happens During the Lower Eye Lift Procedure? 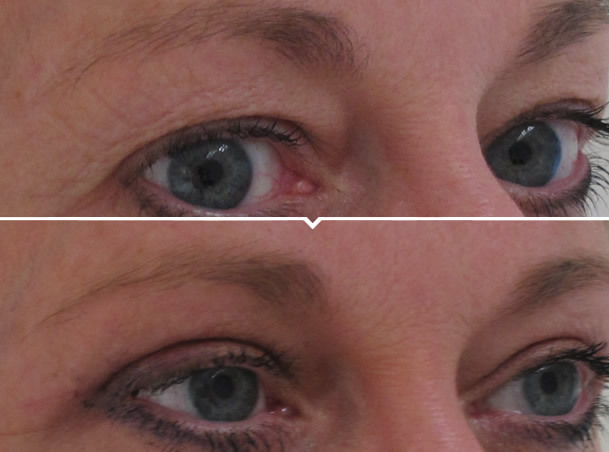 Lower eyelid surgery is usually performed under local anaesthetic. First an injection is carried out to make the area numb. Next, an incision is made just below the eyelash line. What happens next depends on your own anatomy, and varies from person to person. If your problem is simply excess skin, then this can be removed. Often however there is too much fat, or fat in the wrong places under the eye in which case it is necessary to remove or reposition the fat pads. 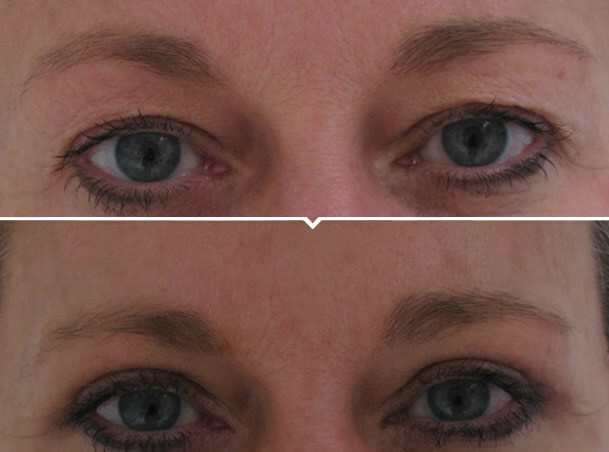 The muscle below the eye is often tightened at the same time, to help with the rejuvenation of the lower eyelid. The scars are hidden in the natural crease just below the eyelashes. Over time the scars should be virtually undetectable. There are some stitches which will need to be removed at five days after the procedure. Within about a week to two weeks, depending on the extent of the surgery, most people feel comfortable enough to return to normal social activities. The results of the upper lower surgery are permanent: the removed skin will not come back. Yo ur face will however continue to age, and you may feel like you want further intervention 5 – 10 years later. 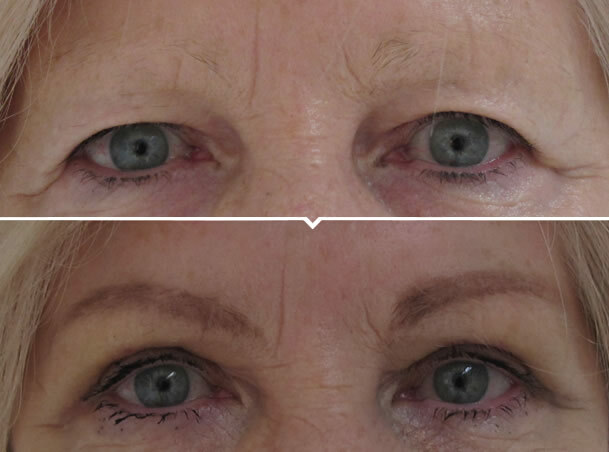 Lower eye bag removal surgery is sometimes also combined with upper eyelid surgery, and occasionally it is performed at the same time as facelift surgery. There is a possibility of a collection of blood forming under the surface of the skin, which could necessitate further treatment to remove it. There is also a small risk of wounds becoming infected, especially in patients who smoke. 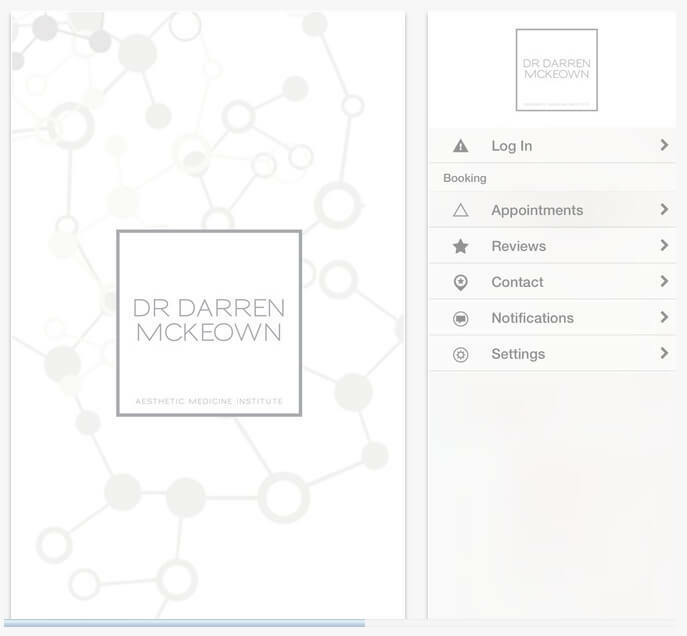 All the potential risks of surgery will be discussed in detail at your consultation.